Dismiss the frizz with the Redken Frizz Dismiss Rebel Tame Treatment; a multi-benefit leave-in treatment formulated to tame rebellious frizzy locks for sleek, polished results. Enriched with sustainably-sourced Babassu oil, the smoothing cream replenishes lost moisture, boosting resilience whilst detangling unruly tresses and enveloping strands with a protective shield against heat up to 450º. Caress into damp hair before blow-drying to ensure silky smooth and manageable locks for fuss-free styling. Free from sodium chloride and sulphates. Apply to clean, damp, towel-dried hair after shampoo and conditioner/mask. 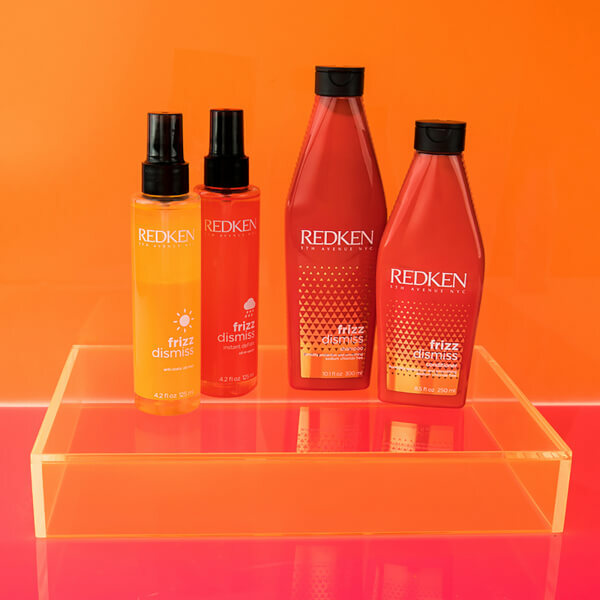 For optimum results use Redken's Frizz Dismiss Shampoo and Conditioner. Aqua / Water / Eau Cetearyl Alcohol Orbignya Oleifera Seed Oil Parfum / Fragrance Glycerin Behentrimonium Chloride Cetrimonium Chloride Amodimethicone Sodium Benzoate Isopropyl Alcohol PEG/PPG/Polybutylene Glycol-8/5/3 Glycerin Benzyl Salicylate Citric Acid Benzyl Alcohol Linalool Trideceth-6 Chlorhexidine Dihydrochloride Hexyl Cinnamal Geraniol Amyl Cinnamal Coumarin Citronellol Limonene Benzyl Benzoate. I adore this heat protector cream, it detangles my hair and makes styling it SO much easier. Love the Babussa oil in this product, I really liked the old version so happy to see it reformulated with Babussa oil. My favourite cream for taming frizz and a pre blow dry must have. Love this leave in styling cream, not too sticky and leaves hair feeling protected against the heat of my styling tools. This was amazing at taming my fly-aways and keeping my hair looking sleek and smooth. I am totally in love with it! 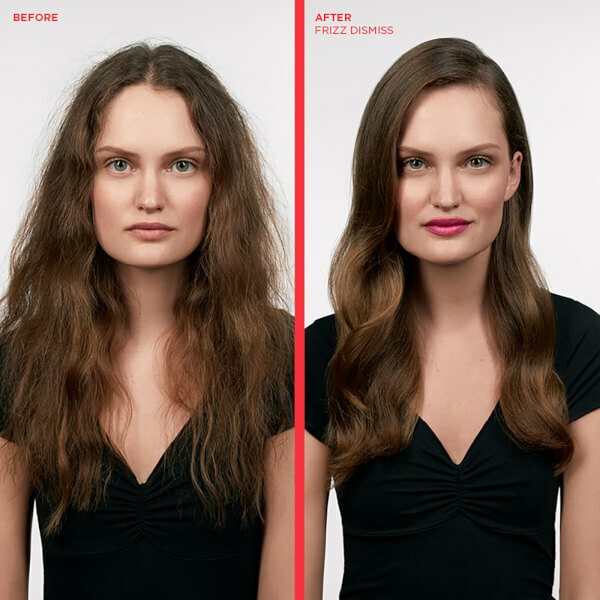 Medium frizz control, just enough to not have to use a hairspray to spary the flyaways down. Love the smell too. It has worked well on my hair which is fine, fly away and wavy. It's brought out the curls nicely without frizz but they have seemed to drop quickly so I'm going to invest in a gel or mousse as well to see if that helps!! 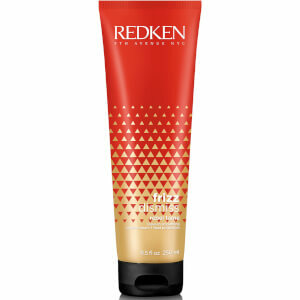 I first tried this product by Redken at my local hair salon. I have coarse,thick hair which doesn't like damp conditions. Frizz Dismiss is perfect for taming my type of hair and has a lovely smell. I highly recommend this to anyone with similar hair. Very good product for thick, frizzy hair. Tames my curls and most important of all, controls humidity! 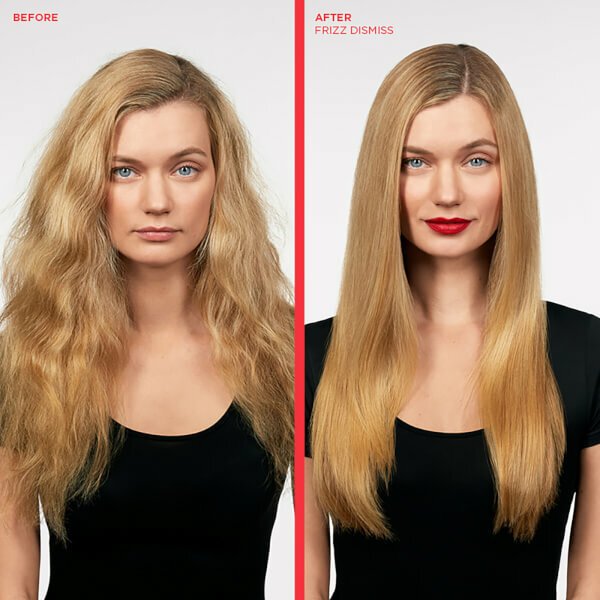 The cream provides 250 degrees heat protection and its great for making hair more manageable, a new must have product to add to my kit to use before blow drying.